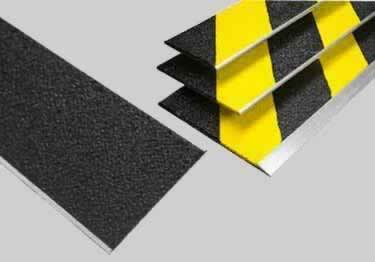 Stair Tread Flat Plates create an attractive, permanent anti-slip surface for interior and exterior steps and landings. Great for worn problem areas, dangerous steps and slip hazards. Widths available: 3.5", 5.5", 7"
How do you cut these down if they are too big? Professional Aluminum finish to carpet, tile, or wood- 6 finishes providing protection from slips and falls.12ft.